A binge-watcher about the disappearance of Will Byers, an unprecedented form of investigation, and a government cover-up. Stranger Things provides a succinct answer to the age-old question, albeit in a new and fun way. If you haven’t watched Netflix’s new show, you’re missing out. It’s a delightful romp through your childhood if you grew up in the 80’s. And even if you didn’t the characters and the engaging story will entertain you for eight wonderful hours. Besides learning how to killing a demigorgon (which if that alone doesn’t pull every Dungeon & Dragon player to the show, I don’t know what will) the show also demonstrates some key factors in fantastic storytelling. The show starts off with the strange disappearance of a child from a home by a mysterious and terrifying entity. But then the show morphs into more of a mystery than straight horror or sci-fi. The tension of the opening scene is slowly rebuilt with new layers. We see the impact of Mike’s disappearance on a number of different characters, from the grieving family to the sheriff with a tragic past of his own to Mike’s frantic friends to the mysterious young girl with the shaved head. Each of these characters has their own subplot going but they all arc back to main point: finding Mike. Joyce Byers (Winona Ryder) reports her son has vanished. We get to know and care about these characters so when the bad things start to happen we are invested. As more people start to disappear and strange things begin to happen the stakes begin to rise. The beautiful thing is we don’t really get to see what’s directly behind the incident at first. Only hints, macabre glimpses, terrifying shadowy blurs caught on camera. The show becomes downright creepy and yet never overwhelms with extreme gore or violence. It doesn’t need to. It’s more about the characters as it should be. The tension comes from wondering when it will strike and at whom. As with the stakes rise, the Duff Brothers allow humor to break up the tension. It’s an age-old device but rarely used well these days. Here is it is done with finesse; subtle character moments that don’t need to be bawdy slapstick. Like the Christmas Lights and the phones. The storekeeper’s reaction to Mike’s mother continuing to buy all their holiday lights out of season could easily have been broader but it was kept to subtle reactions and a couple of dialogue lines. It never jarred us out of the desperate pain this woman was going through and yet it still brought a smile to our lips, because we understood her pain. We wanted answers as much as she did, and like her, we didn’t care how we got them. 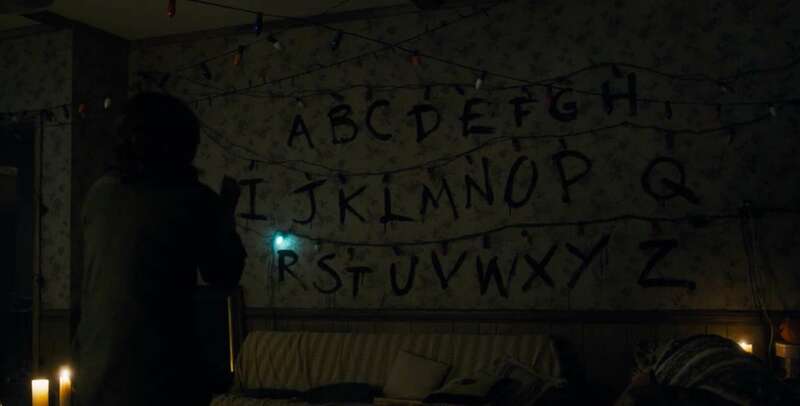 Will Byers (Noah Schnapp) communicates from another dimension through Christmas lights. Or the banter of the group of kids struggling to find their lost friend. Despite their numerous cultural references and snappy dialogue you never lost sight of their struggle. Children have the most open of minds and are willing to go to lengths that most adults can’t. To watch them use the tools available to them (comic books, movies, walkie talkies, role playing games) to solve a section of the puzzle was a great deal of fun and kept the lighter tone grounded The show has been compared to The Goonies and E.T. for good reason. Even secondary characters got adequate time to deliver lines and tell a small bit of their backstory or lend credible weight to the problem. All the wonderful characters just popped off the screen. None of the actors were the young hot crowd that Hollywood tends to throw at us. These were actors chosen specifically because they weren’t and the show is still a hit. In fact very few of the actors were well known or current. With the exception of Winona Ryder though she hasn’t been an A-Liner for a number of years, but I’ve garnered new respect for her based on her work on this show as the grieving mother of two children. And Matthew Modine who was barely recognizable as the head researcher of the nefarious government think tank. Neither of them were enough to jar one out of the story. This goes to show that great storytelling can still be the defining force of any good show and doesn’t need pretty faces to tell it well. My hats are off to the Duff Brothers for that alone. I think not being embroiled in star power helped the show a great deal. I loved being immersed in the story and characters rather than the actors. 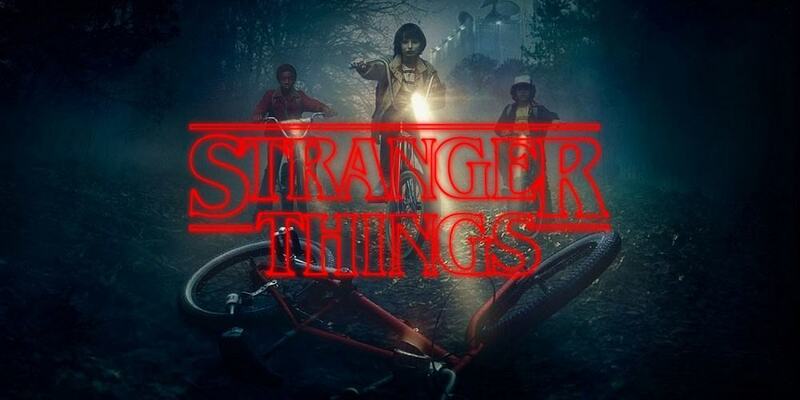 Oddly enough, Stranger Things is an exercise in simplicity, back to a time where characters were king and plots clever without a lot of shock and awe. It respects the audience and acknowledges we’re smart enough to make the leaps necessary for the story to succeed. It uses the familiar setting of the 1980’s to make most of us feel at home, taking us back to a time when we were less jaded. The show used old tropes but told them in new fun ways. This is pure escapism at its very best. It felt good to return to the Spielberg-esque time where movies were feel good stories. Lately we as an audience have become cynical dark knights where we expect bloody violent and gritty realism. But Stranger Things demonstrates that there’s room in our hearts for small character stories with a whimsical sensibility. Now I want to buy an old phone to slam down in utter frustration because I have to wait for season two. 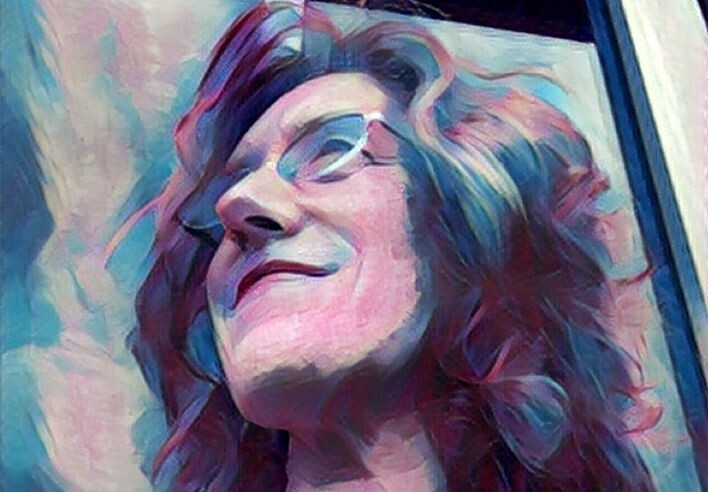 More On Author Susan Griffith! – Interviews & FREE Audio Book Samples! What Is A Rift Walker? Susan Griffith is an author and blogger with a passion for adventure stories where heroines save the day. She met her husband Clay at a bookstore. Together they write novels, including The Crown & Key series and the popular Vampire Empire series.